Spending your Winter Holidays in Paris? I don’t know if it’s anyone out there who doesn’t wish for the holidays to come faster. December month is the perfect time of the year to enjoy beautiful moments with our friends and family or to travel around the world and discover the beauty of winter holidays. Are you planning on visiting Paris this winter? 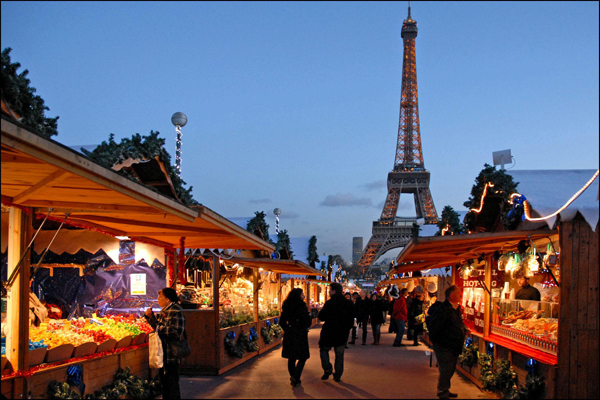 Thinking on seeing the Tour Eiffel and other top attractions during the holidays? Maybe there is no better time than winter season to enjoy the City of Light with all its specific decorations, fairy lights, local events, fine art, Christmas markets and other exciting things to do. Here are just a few useful tips to inspire all travelers and make the best decisions during their travel. Without a doubt, December is one of the most magical and amazing months of the year, when the city is covered in white, you can take a tour around the ice skating rink, go shopping in one of the chic magazines or take a romantic walk in one of the grand boulevards. However, a visit to Paris isn’t complete without admiring the city’s most famous and iconic sights: Tour Eiffel and its light show, the unique Palace of Versailles with its impressive gardens and outstanding French Baroque architecture or the well-known Champs Elysees with its luxury cafes, boutiques, cinemas or fancy magazines. Would you like this Christmas to be special for the whole family? There is no place more suitable than the magic Disneyland, a winter land where all dreams come true and kids get the chance to meet all their favorite characters. Enjoy fun moments in this wonderful place, visit the Father Christmas, and be charmed by thousands of lights and great atmosphere created during winter holidays. Full pricing, special offers, program and other useful details can be found here. If skating is among your favorite winter sports, what do you say about skating at the first floor of the Eiffel Tour or head to one of the main ice rinks installed in the city? If you don’t know how to skate, you can just watch your kids having fun, while you enjoy the spectacle with a cup of hot wine or chocolate. Although the entrance is free, skate rental is approximately 5 euros. Besides the ice skating rink available at the Eiffel Tour, visitors can also experience Trocadero Ice rink located across the Seine that starts generally from mid-December to early January. It is a great spot with great views of the Eiffel Tower plus the wonderful Christmas atmosphere. Another option is Ice Skating de L’Hotel de Ville which has a huge open-air rink located in front of the city hall and it is opened in the first weekend of December until early March. Free entry and 5 euros for skate rental, but for other ice skating places in Paris, see here more information.